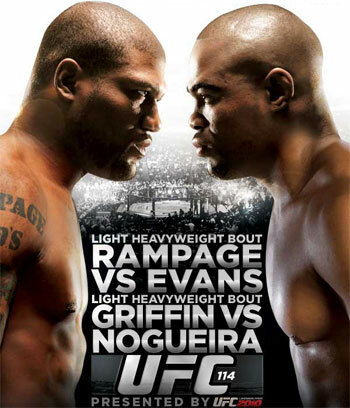 The May 29th event takes place inside the MGM Grand Garden Arena in Las Vegas, Nevada and will be headlined by the highly anticipated light heavyweight scrap between former champs Quinton “Rampage” Jackson and Rashad Evans. “It’s no secret that Rampage Jackson and Rashad Evans don’t like each other, and this rivalry has gotten more and more intense in the last few months,” said UFC president Dana White. “I can guarantee you that neither one of these guys wants to lose to each other. The organization will also be hosting their second annual UFC Fan Expo just down The Strip at the Mandalay Bay Convention Center that same weekend (May 28-29).